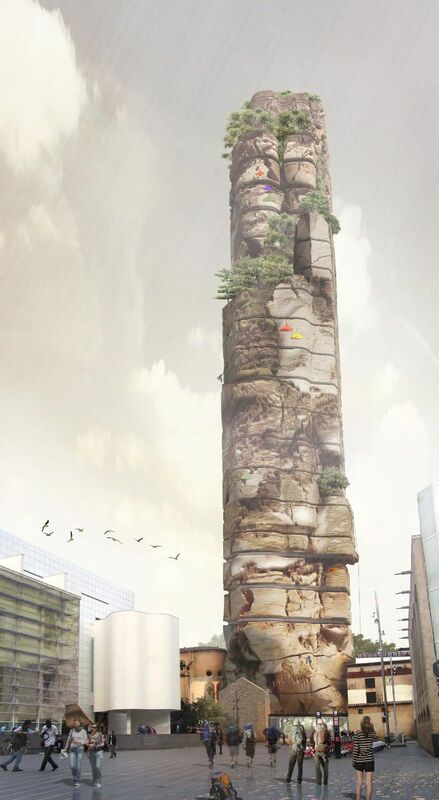 Hugon Kowalski from UGO architecture&design proposed this Barcelona Rock hostel Skyscraper for Barcelona 2011 Bohemian Hostel for Backpackers international competition. 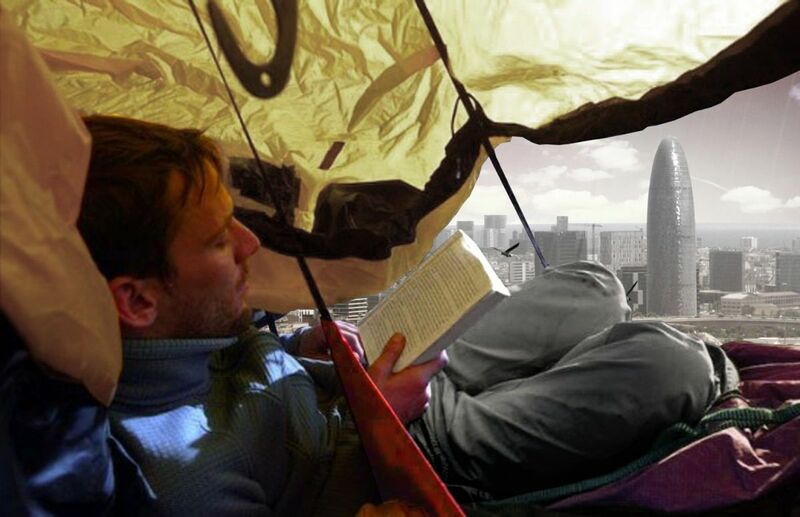 For this competition consisted of designing a 100 tall tower -hostel that includes relaxation areas, stores, cafe and at the same time creates a new landmark in the city of Barcelona. Barcelona Rock hostel is supposed to be a unique place. 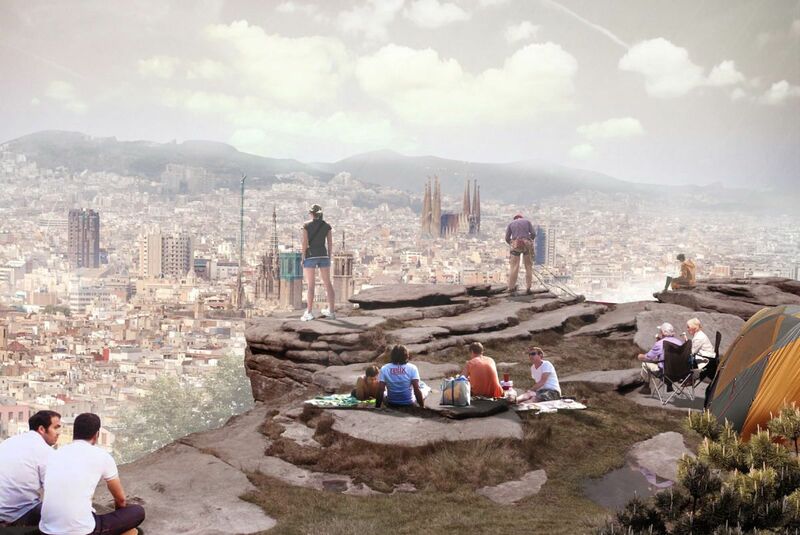 It is supposed to become a new symbol of Barcelona. In search for inspiration we were trying to find something common for the city's architectural marks such as Sagrada Familia, Torre Agbar or the nearby Museum of Modern Art. We found it in Montserrat – in a mountain range near Barcelona (the highest elevation in Catalonia, you can see it from Barcelona). The stone from that mountain range was used for the buildings of the old city. The form of the building is a part of a mountain. The stone elevation introduces life to the building, which is covered with greenery and provides shelter to birds, and which becomes a natural feature of historic importance in the centre of the metropolis. In the hostel there are 50 rooms with a window, a swimming pool (jumping from the rock into the water), spa, gym, cinema, pub, shops and climbing walls for beginners. The outer elevation of the hotel forms climbing walls for more advanced climbers, who can spend the night there using special equipment. 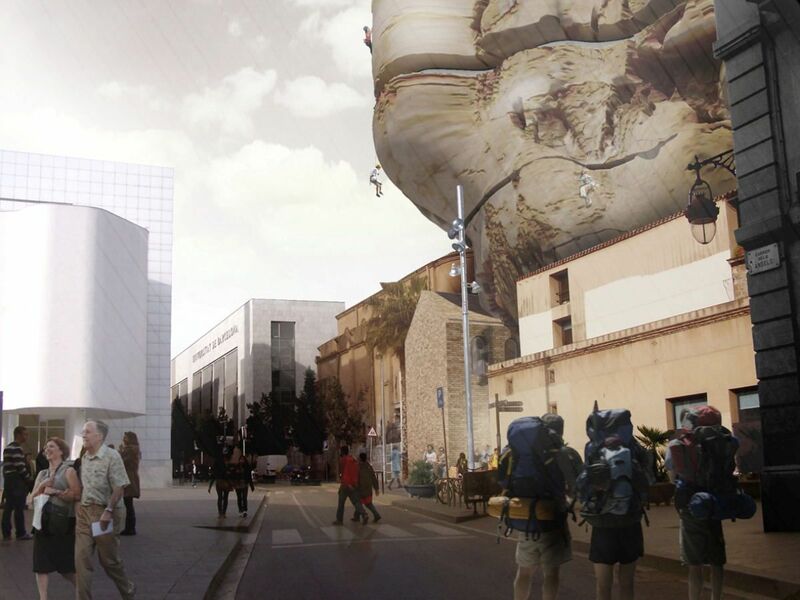 We hope the hostel will become a symbol of the city as Ayers Rock is for Australia. The elevation is made of stone blocks (stone slabs 4 meters high) mounted on stilts of reinforced concrete. These blocks are mounted in some distance from one another to ensure the air penetrates into the building. The advantage of using stone in this climate is that it radiates heat at night and cools the air during the day.